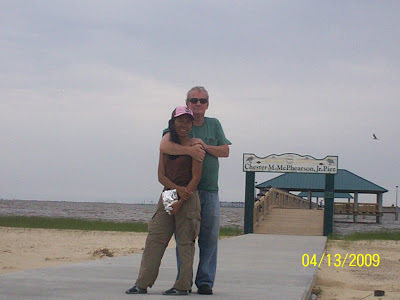 We went to Front Beach, Ocean Springs, Mississippi today. We love the view. The place is truly a lovely place to visit and hang around. There are so many birds and most of all, the Pelicans are plenty. Enchanting scenery!